Report: Death Threat Forces Rep. Maxine Waters To Cancel Events In Texas And Alabama The outspoken critic of President Trump said she received a "very serious death threat" from a person in Texas, according to CNN. 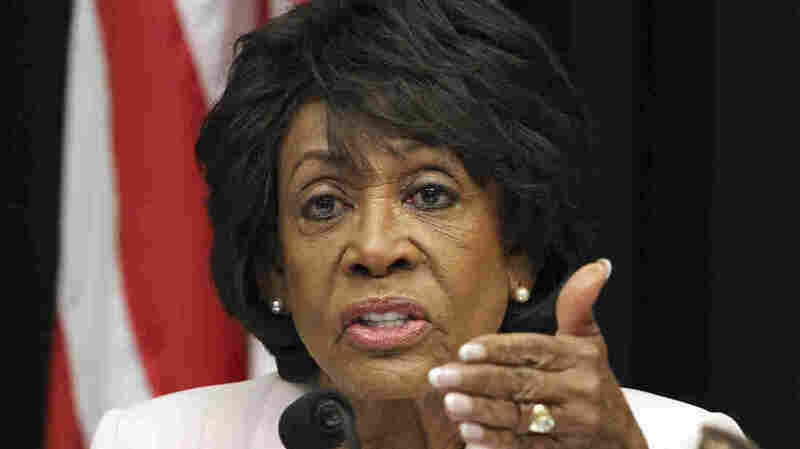 Rep. Maxine Waters had been scheduled to speak Friday at the annual legislative conference of the National Organization of Black Elected Legislative Women in Birmingham, Ala.
Rep. Maxine Waters stirred up a lot of controversy last week when she called on people to confront Trump administration officials whenever they are out in public. Now the California Democrat reportedly has canceled events in Texas and Alabama because of a "serious death threat" made against her. Waters' call for protests against administration officials was made after some Trump aides last week were confronted at restaurants while intense debates were taking place across the country over the administration's "zero-tolerance" immigration policy. White House press secretary Sarah Sanders was asked to leave a Virginia restaurant, and in separate incidents, Homeland Security Secretary Kirstjen Nielsen and adviser Stephen Miller were confronted at Mexican restaurants in Washington, D.C.
" 'If you think we're rallying now you ain't seen nothing yet,' Rep. Maxine Waters, D-Calif, told supporters at a rally in Los Angeles over the weekend. 'If you see anybody from that [Trump] Cabinet in a restaurant, in a department store, at a gasoline station, you get out and you create a crowd and you push back on them, and you tell them they're not welcome anymore, anywhere.' A video of her remarks was posted on Twitter Sunday." Her remarks drew a response from President Trump, who called her "an extraordinarily low IQ person" in a tweet on Monday and warned, "Be careful what you wish for Max!" CNN reported Thursday that Waters said in a statement that after Trump took aim at her on Twitter: "Even more individuals are leaving threatening messages and sending hostile mail to my office." "This is just one in several very serious threats the United States Capitol Police are investigating in which individuals threatened to shoot, lynch, or cause me serious bodily harm," the statement added. NPR hasn't independently confirmed the statement. While details of the Texas event were not immediately known, Waters had been scheduled to speak Friday at the annual legislative conference of the National Organization of Black Elected Legislative Women in Birmingham, Ala. The event was billed as "NOBEL Women Presents A Moment with Maxine." The organization's president, Karen Camper, told the Alabama news website AL.com that Waters had canceled her appearance because of security concerns.